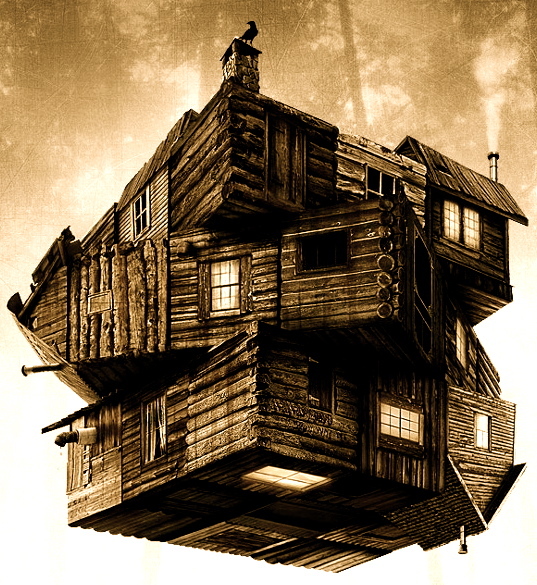 Trying to explain Cabin in the Woods is like a time traveller trying to warn someone about their future without creating a paradox. You need to say just enough to set them on the right path, but also leave enough out so that everything isn’t ruined forever. People need to see this film, but telling them why is like navigating a minefield – you can only provide the most scant of plot outlines, can barely fit it into a proper category, and generally just end up spouting the names of those involved . You say “five unsuspecting college students head off to a cabin in the woods, however under the usual slash and scream lies a more sinister…thing?” Then it all starts to get a bit awkward. Ultimately the conversation ends up reduced to listing words, phrases and names with only the vaguest of links as you try to justify why you’ve seen this film three times*. All of a sudden you’re saying words like “meta-horror” and your friend’s eyes start to glaze over. Not very convincing. It is written by Joss Whedon and Drew Goddard, produced by the previous and directed by the latter, and the result is a film which combines comedy and horror – but not in the ‘Scary Movie’, horror spoof terribleness kind of way. The dialogue is quirky, fast-paced and funny. You’ll alternate between laughing, covering your eyes, and gasping, all within the space of a few minutes. It references a lot of horror movie clichés – but somehow does this elegantly, and in a way that doesn’t alienate people who haven’t seen much horror previously. Dollhouse) and Tom Lenk (Buffy, Angel). Chris Hemsorth, pre-Thor and The Avengers also has a significant role. The film was actually made three years ago, but due to financial issues, the advent of 3D and a host of other things, it was set to go straight to DVD here until a bunch of Australian Whedon fans got all “grr arggh”, and started a petition which led to a limited release in Australian cinemas. There are about twenty things I would like to add to this list (including cameo appearances, certain phrases and details about plot points) but really it just comes down to this: the less you know about the film, the better. Just go see it. *true story. Soon to be four. This entry was posted in Film, Reviews and tagged Anna Hutchinson, Cabin in the Woods, Chris Hemsworth, Drew Goddard, Fran Kranz, Horror, Jesse Williams, joss whedon, Kristen Connolly. Bookmark the permalink.